Western culture’s scientific heritage from Bacon and Newton has bankrupted its cultural imagination; consequently, Western culture manifests symptoms of cosmological uncertainty such as anxiety, alienation, anomie and a massive confusion over values (Mathews, p. 134). The loss of cultural cosmology embedded in narratives and accessible to the entire community is accompanied by reduced a capacity for symbolic thinking, big-picture thinking and ethical thinking. Modernity remains stuck in Newton’s atomistic social order, which regards humans as atoms, individuals keen on survival, and competitively self-interested while adrift in a meaningless universe (p.30). Instead of becoming rugged individuals, Arendt is concerned about homelessness and rootlessness linked to an ungrounded worldview and suggests that the Copernican paradigm shift toward a heliocentric and astrophysical worldview made it difficult for natals to trust their senses (Arendt, p.261). The Copernican paradigm shift took only decades, yet modernity appears to be incapable of making another paradigm shift to a relational worldview in spite of the urgency of multiple ecological crises. Popular film culture manifests necrophilia by attempting to create beauty out of terror and horror and to mimic male dominance, capitalism and warfare in space; thus perpetuating the Cartesian myth of transcendence by escaping an over-heated planet in order to colonize other planets. In contrast, a philosophy of natality recognizes that “we stand in need of cosmological healing” (Mathews, p. 47). 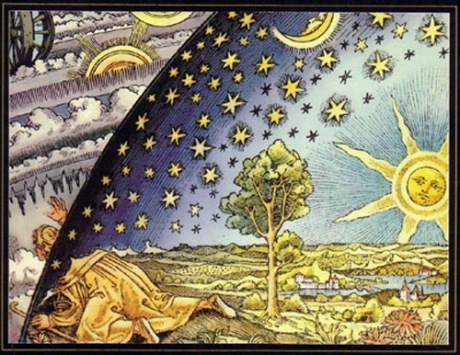 Cosmology contributes stability and groundedness by evoking imagination and a shared symbology to express the sacredness of the whole and of ethical relationships. So many potent truths! Thank you for sharing and inspiring.